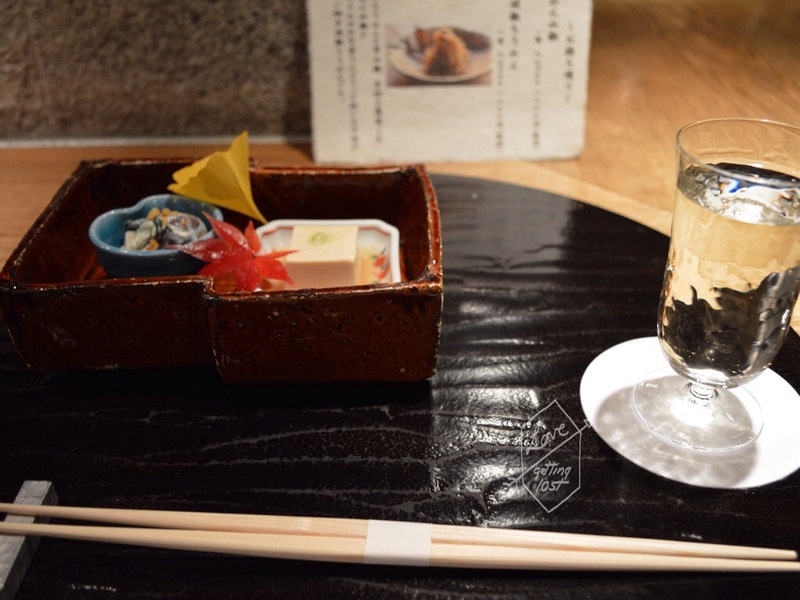 Kaiseki Cuisine was something I had researched before heading to Kyoto and was something I was very much looking forward to trying. 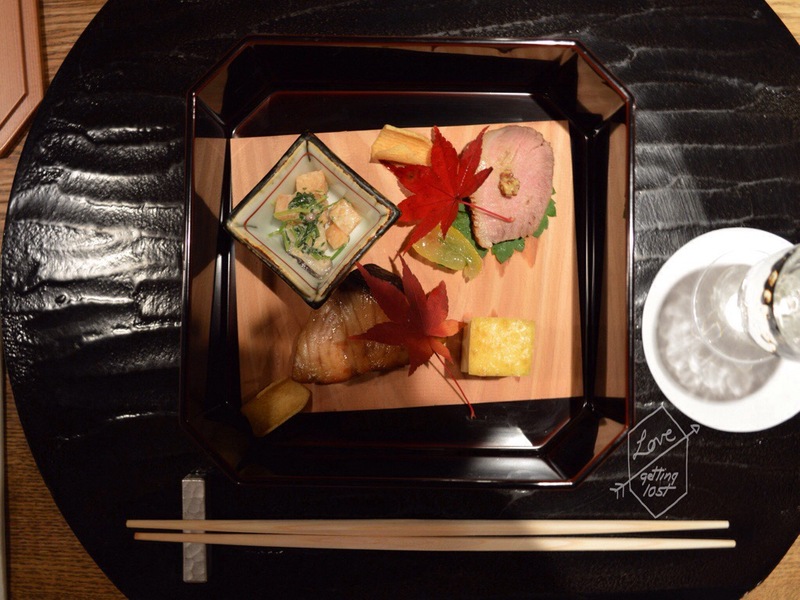 Kaiseki Cuisine Is a traditional multi-course Japanese meal often consisting of around eight courses. 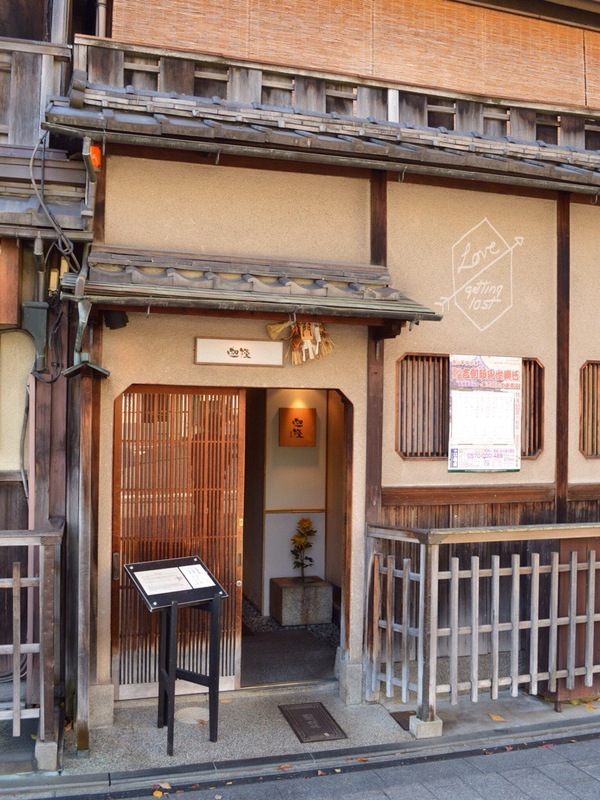 Although I hadn’t research a specific restaurant to visit I knew that there was a number of these types of restaurants in the Gion district of Kyoto. 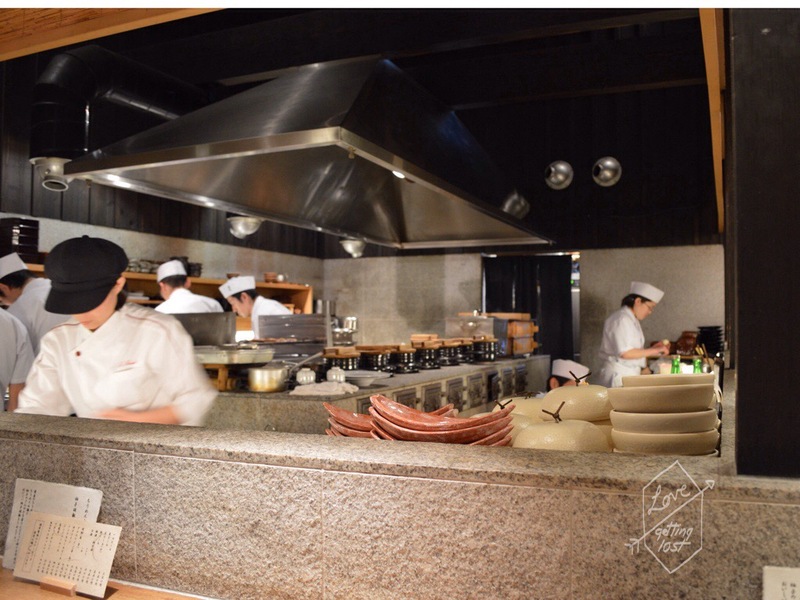 The majority of these types of restaurants are found on Hanamikoji-Dori which is one of the main streets in the Gion district and where the famous Gion Corner is located. These types of restaurants can be quite daunting to enter but are well worth the effort. I chose The Gion Karyo as they had a sign with English outside and this explained that they had a set menu for lunch and that it would be made up of predominantly of seafood and vegetable dishes which suited me perfectly (I don’t really like meat). 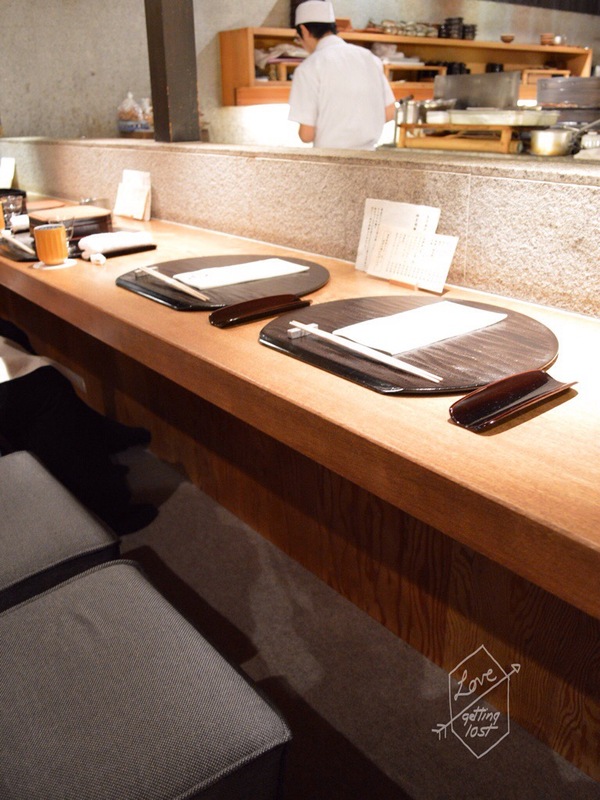 The Gion Karyo is a modern restaurant. Housed in a beautifully restored traditional building it had a sleek modern interior of predominantly timber and grey and mood music played in the background throughout my meal. Despite this you are still expected to remove your shoes to be able to enter the restaurant and majority of the staff wear kimonos while they serve you. I didn’t find I had a problem with any of this as I was there for the food and the setting was still very enjoyable especially considering how cold it was outside. There was two set menus available but with my non existent Japanese I ended up with one of the two courses without knowing the difference (I believe in the end my meal had slightly less courses then the other). You are not given a menu although eventually the staff found an English list of all my dishes as the chefs where finding it difficult to explain to me what I was eating (it was actually quite a lot of fun trying to figure out what all the flavors where though). Now I am no food photographer so forgive me for some of the images. It was also extremely hard to not dive straight in to some of these dishes. 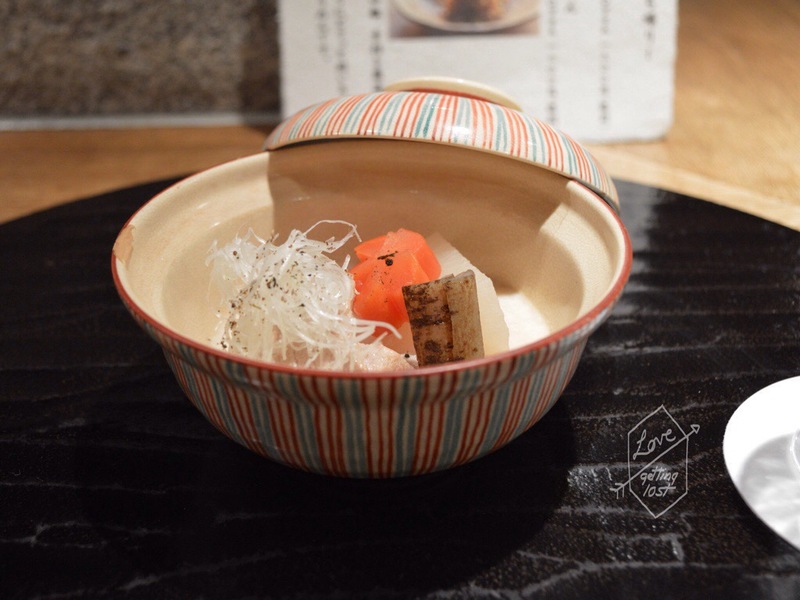 The first course was described as a garland chrysanthemum, mushroom and tofu salad and peanut tofu. I didn’t have the course list at this stage so when I started eating I was just guessing what everything was. The tofu was pretty easy to spot. Tofu looks like tofu but my how I was surprised at just how good peanut tofu tastes it was such a delicious surprise. Now this was something I expected to see in a traditional menu and I wasn’t disappointed. This was sashimi but to be honest I couldn’t name the fish. I believe one piece was tune but both pieces where different types of fish. I really like light course when you have so many to get through and this was so tasty. This course was surprisingly delicious and this was the point at which I got the course menu in English. 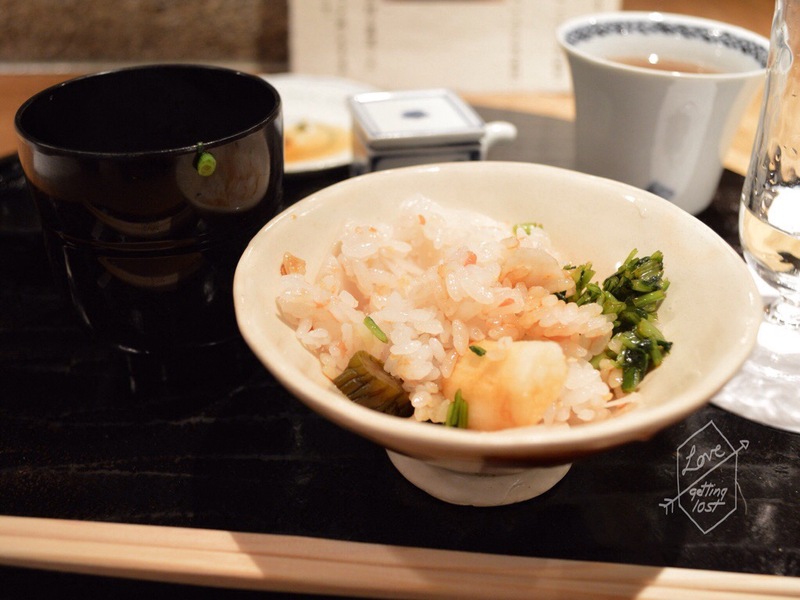 This was steamed sushi with conger-eel. It was quite oily and on a bed of rice but had a lovely smoked flavor. I feel like this was the main course out of the eight. It definitely had the most components. There was grilled Spanish mackerel with miso taste, Wild duck , a carrot greens, persimmon and mushroom salad dressed with sesame, there was also water chestnut chips and a yuzu compote (that Japanese citrus again). 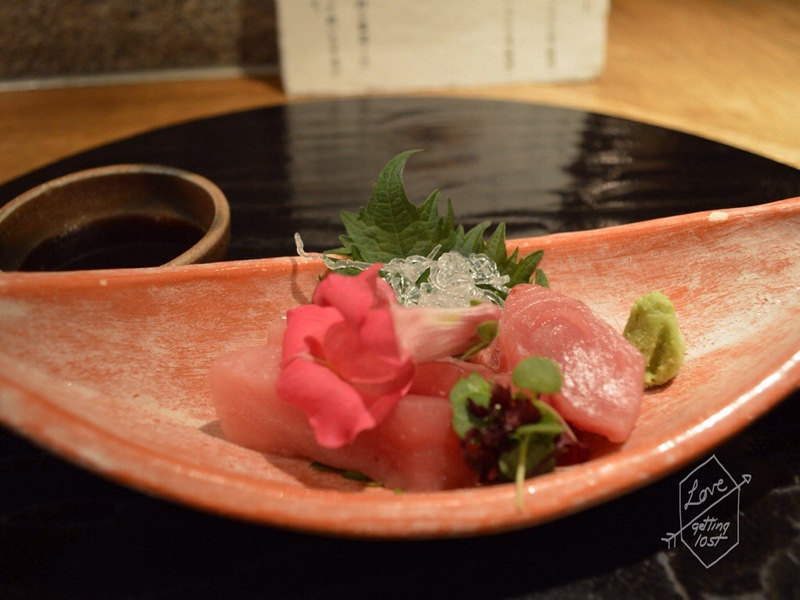 The sixth course was simmered Yellowtail fish and Japanese radish and was quite strong in flavor. The carrot flower on top was something special thought. I had been doing so well during this meal with my very little English till it came to this course of steamed rice. 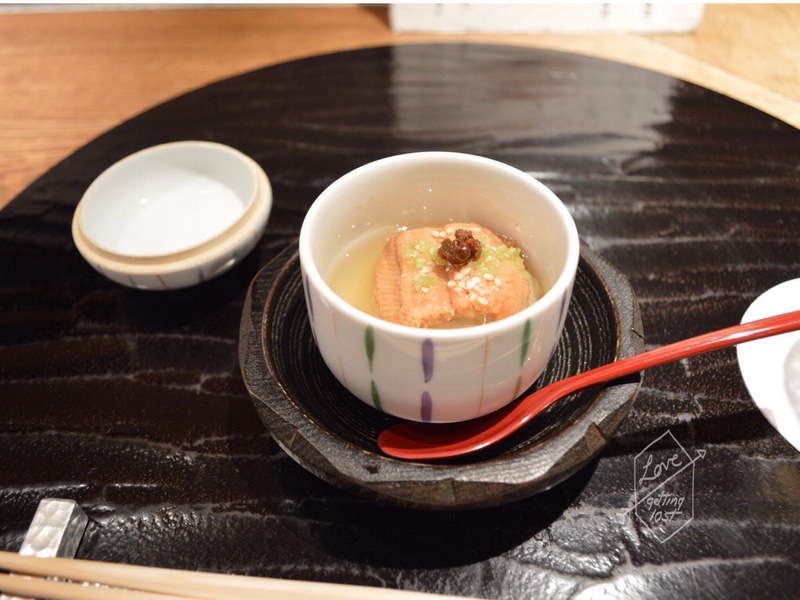 I was given a small dish of unidentified food and some soy sauce as well as a small bowl of miso soup. I poured some soy sauce onto the plate and began to eat the food. Turned out it was a garnish for the rice. Another set of dinners spotted me and we all had a little giggle. Considering how long the meal was I did pretty well to get this far without offending anyone. The final dish was a desert of log cake. mixed berries and orange ice cream and rice crisp. Really this was my least favorite out of all the course but still pretty impressive. 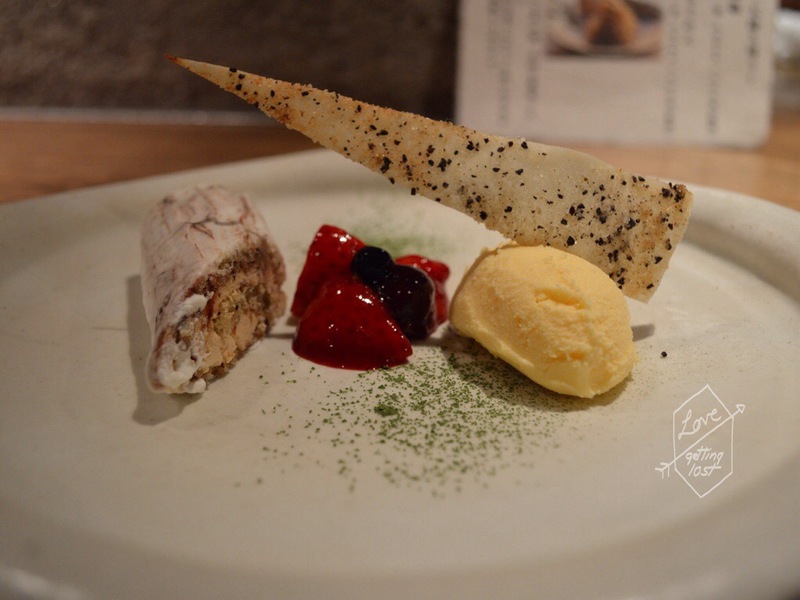 The Gion Karyo is a modern restaurant offering something very Japanese in flavored. The lunch menu is cheaper then the dinner menu and including tea and saki my entire meal only cost around $50aus. Considering how much breakfast cost in Australia this was a bargain. I was also the only non Japanese speaking person in the restaurant which surprised me. 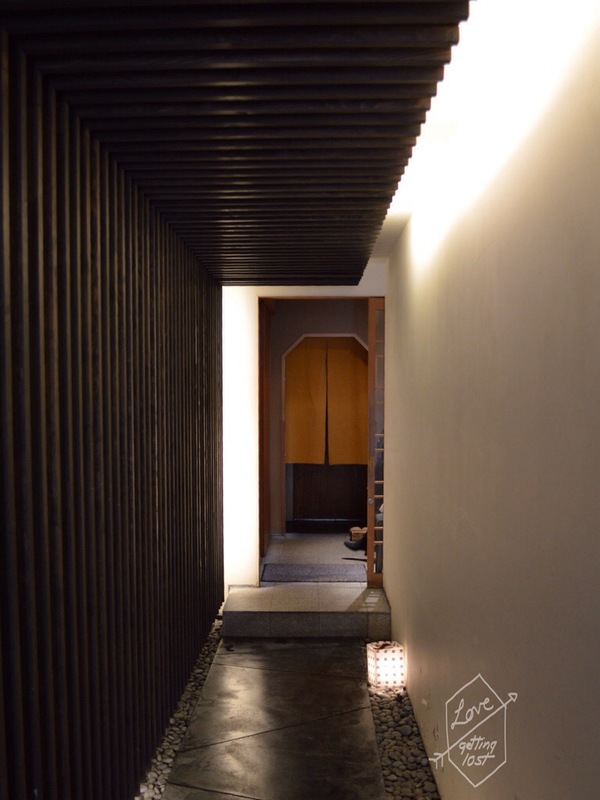 I really don’t think you could go to Gion and not take the opportunity to have such a sensory rich experience. Nice post! Did you make a reservation? Thanks! Thanks Grace. No I didn’t have to make a reservation I just walked in. Although I did go at lunch which I think always makes it easier to get a table. Was it possible to inform the staff/ chef that you did not want meat in your dishes? Noticed that duck was served! 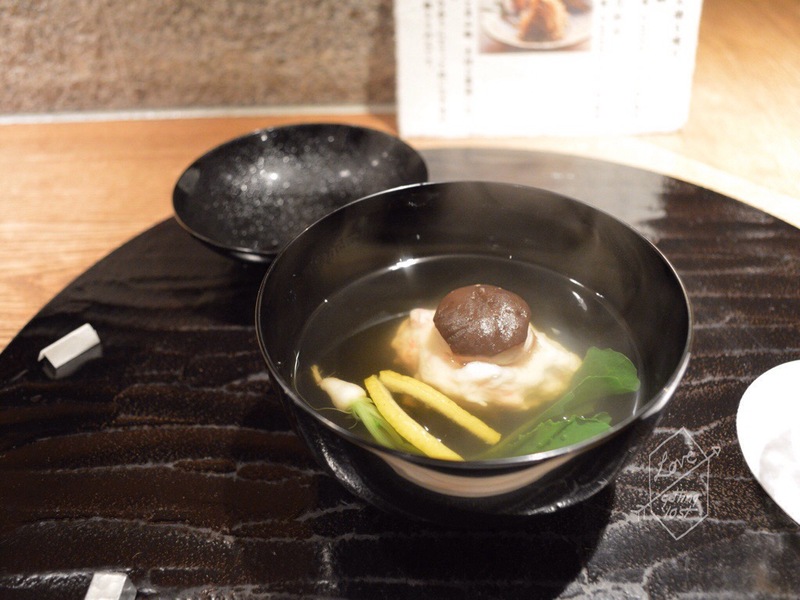 I am going to Kyoto for the first time and would like some recommendations on good kaiseki (seafood!). Any to share? I honestly didn’t try because it was only the one piece of duck in the 8coursed and it wasn’t touching anything else on the plate. Everything is prepared separately and then plated. I did pick this particular restaurant though because seafood featured so heavily on the menu and I just chose not to eat the duck. The language barrier unfortunately can be an issue in Japan so you have to pick your battles. Yes their website is written in Japanese only. Thanks and have a good day!